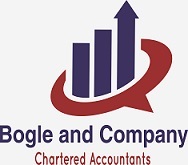 Bogle and Company is one of the most recognised local accounting firms in Jamaica. Our focus on small to mid-size companies (SMEs) as our primary practice has been the foundation of our firm. This has enabled Bogle and Company to develop a national audit, bookkeeping and tax practice that competes with the largest accounting firms. In addition to our impressive client base, our active participation in professional activities has enabled us to become nationally recognised experts in our fields.